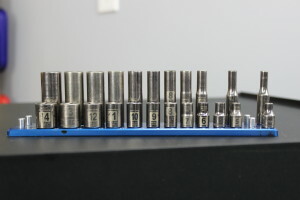 Today I will be reviewing the 1/4″ drive socket tray from WestlingMachine.com . 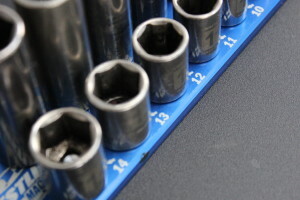 I have been looking for a good quality socket holder for years. Sadly most of the socket holders are plastic and do not seem to hold up well. At least with the abuse that I put them though. I use my 1/4″ drive sockets all the time. That means having a good quality way to store them is vital. Trouble viewing? Watch “Westling Machine Socket Tray Review ~ Video” on YouTube. If you have a tool or product you would like for me to review, use the contact me form. Or email me Charles(at)HumbleMechanic(dot)com, and put TOOL REVIEW in the subject. 215/65-16 65 is a percentage of the width which is, in this case, 215 (mm). So, a 205/65-16 is at the same time less wide and a lltite lower because 65% of 205 gives you a smaller number for tire wall height. See my drawing no Projeto tire size . The clear and precise font and print would attract your vision quicker in just glance. On the opposite, the dark and blurry marking could waste your time in selecting the right tool.